We all look forward to summer, but once the sunshine arrives, we often struggle to make the most of it. Perversely a break from work, weekends in the sun and long, warm evenings can quickly become tiresome if we don’t stimulate our minds and bodies enough, however enjoyable they seem at first. As summer sets in, the novelty soon wears off, and we’re left wondering what on Earth to do with all our free time! To help you make the most of the upcoming season, here are some fun and affordable activities to try. 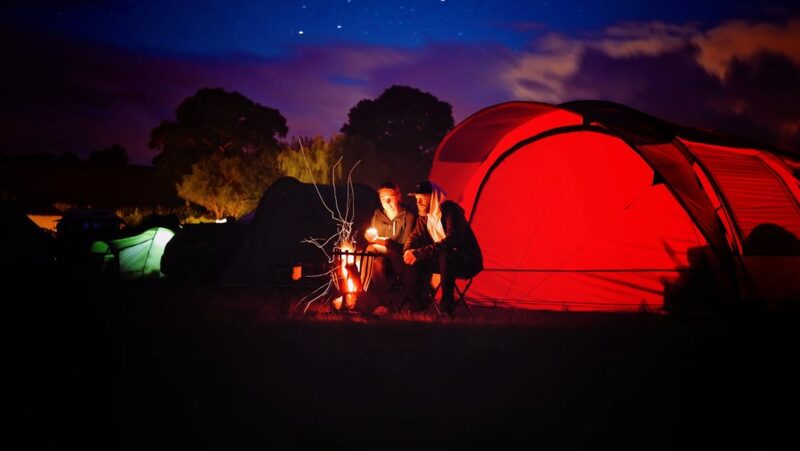 Where better to stargaze than with your loved ones gathered around a campfire? Camping remains one of the most beneficial summer activities because it takes us back to our earthly roots, allowing us to reconnect with one another (or ourselves) and leave our smartphones at home. What’s more, it’s incredibly cheap. You can rent a space at a campsite for very little, and you’ll only need basic supplies like a stove, sleeping bag and tent once you’re there. Golf is fun, sociable and a surprising calorie-burner, so consider learning to play this summer. Not only will you get to enjoy a new sport, but also you’ll also get fit and maybe even make new friends. You can book golf lessons for all abilities using the HulaHub website. If the heat gets too much, why not grab a cold drink and some popcorn and spend your afternoon enjoying culture with added air-conditioning? Whether you see the latest blockbuster movie or a highbrow play is up to you, but enjoying some entertainment is the best way to relax and unwind when the sun gets too much. If there’s a drive-through cinema or shaded outdoor theater near you, then even better! One of the best things about summer is dining alfresco, but this doesn’t mean you have to pay a fortune to sit in a fancy restaurant garden and drink wine. Instead, head to your local park and find a big tree to have a picnic under. The fresh air will do you good, and there’s nothing like feeling the grass between your toes as you sip a cold beverage and snack on fresh fruit. Whether you swim outdoors or indoors, doing some laps at your local beach or pool will provide an effective cardio workout as well a break from the heat of the sun. If you live in a particularly hot climate, head to the pool first thing in the morning or last thing at night to avoid sunburn, and don’t overdo it if you start to feel fatigued. If you want to get outside but you’re not sure what to do, you could use this opportunity to grow some pretty plants and flowers in your garden. Not only does gardening provide a full body workout, but it is also great for lifting your mood and keeping anxiety at bay. Bulbs such as calla, canna, and dahlia will add color to your landscape and are perfect for planting all summer long.